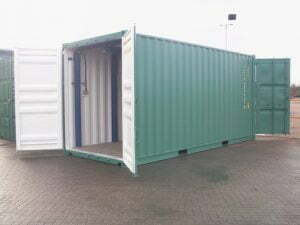 Tunnel or double door containers are the ideal solution for when dual entry is required. These containers have standard double doors on both 8ft ends and are perfect for making items more accessible. For further information regarding cost and delivery, please contact us and a member of our team will be in touch. Ideal for pallet loading and for loading by forklift. Their dual entry points mean that along with the erection of a steel bulkhead partition, the 20ft unit can become two 10ft units. 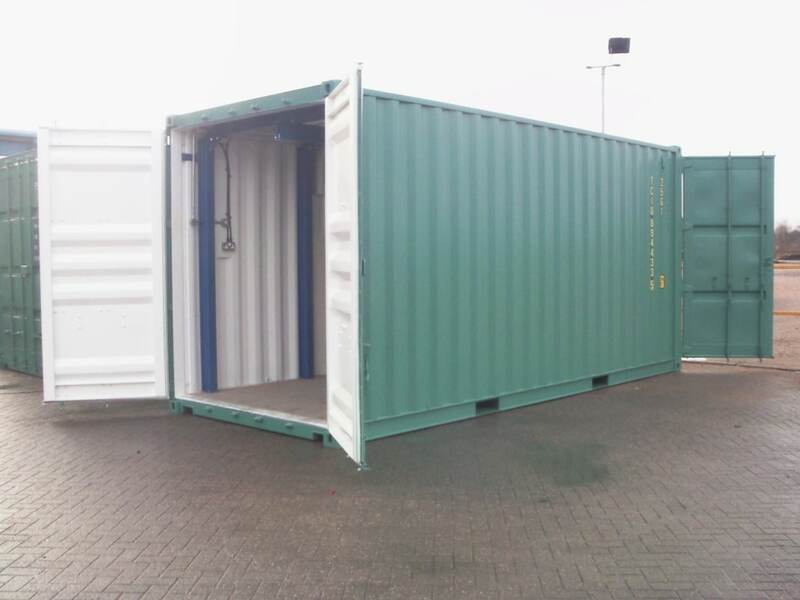 This maximises return on investment and makes them perfect for the containerised self storage industry. Ideal for use as a temporary bridge during roadworks. Ideal for business stock storage, the dual entry makes stock flow management much easier. 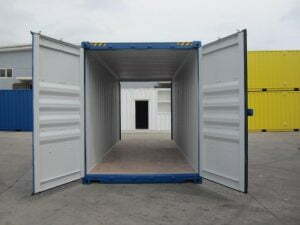 With the use of partitions, a tunnel container can be made into different areas, two of which will have seperate external access. Cheaper than buying two containers. Perfect for converting into all manner of different uses including ticket entrances at events, retail and catering establishments, exhibition and art spaces, process enclosures, biomass boiler housings and dwellings.